Not exactly shocking news, but according to the 185 players polled by Sports Illustrated, Alex Rodriguez, Joba Chamberlain, and Derek Jeter are the most overrated players in baseball (in that order). Click the image on the right to enlarge. This year SI also revealed its results from fans voting on Facebook, which Jeter led as the most overrated by far, taking 45 percent of the vote. David Ortiz (17 percent) and A-Rod followed Jeter (15 percent). In my opinion, none of these guys are the most overrated in baseball today. That man is Hanley Ramirez, who is making $11 million this year for the Marlins and hitting an abysmal .210 with four homers and 17 RBIs. ($11 million may not seem like a lot to us Yankees fans, but he’s by far the highest paid on the team and makes up one-fifth of the team’s total payroll. 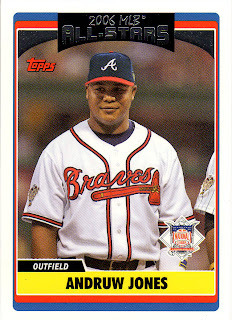 Who do you think is the most overrated player in baseball? After hitting a cool .319 last year, was voted as the Yankee most likely to be hitting .300 at the end of the year. Currently, the Yankees don’t have a single qualified player above the .300 clip. Curtis Granderson and Alex Rodriguez are tied for the team-lead in average now at .282. So how have the Yankees been winning, you might ask? Well, it’s hard not to credit the long ball for their success. The Yankees lead the majors in homers by a substantial number, as they’ve clubbed 79 while the Rangers have just 60. Next poll: Will Felix Hernandez be discussed as a trade target at the trade deadline? As predicted, the Yankees avoided the sweep by stealing the finale. It was actually a rout, led by CC Sabathia and co. I haven’t checked in on the captain in a while. Derek Jeter is 20 hits away from 3,000 after his sixth-inning single today. At this year’s rate, he’ll hit No. 3,000 on June 18 against the Cubs at Wrigley. Daily News Yankees beat writer Mark Feinsand made it clear in a tweet to me that the Mariners won’t be entertaining deals from the Yankees, or any team, for Felix Hernandez at the trade deadline. No chance. I mean, like, zero. RT @lenNYsYankees I think you may have to eat your words in a couple months. That’s about as adamant as you can get. After his two home runs against lefties yesterday, Andruw Jones upped his career averages against lefties to .261 BA/.360 OBP/.503. SLG. Joe Girardi is using Jones’ strength to his advantage this year, as 42 of his 53 plate appearances have come against southpaws. He won’t be an All-Star this year (as he was in 2006), but he’s been a key cog off the bench and Girardi’s left-hand man, if you will. My second interview with an ex-Yankee is in the books. As you’ll hear (or read) more about, Bernie Williams was in Madison Square Park today campaigning for SoBe. The good people at SoBe got in touch with me a while back and made this interview happen. I transcribed the entire 12-minute interview below if reading is your thing. Yankees setup man Rafael Soriano will be out another 6-8 weeks after being diagnosed with an inflamed ligament in his right elbow. Dr. James Andrews, after seeing Soriano on Wednesday, prescribed rest for two more weeks and then a conservative throwing program. Making the announcement, Yankees general manager Brian Cashman said the ligament is the same one that Soriano had Tommy John surgery on back in 2008. Uh oh. So much for that three-year, $35 million investment. Does this injury affect the chances he stays with the Yankees beyond 2011? Remember, it’s his choice. No pitcher had ever made 1,000 appearances with the same team until today. Mariano Rivera came in for the ninth inning, not in a save situation — just to get some work in before an off-day, and retired three Blue Jays in a row after a leadoff single. His 1,000th appearance. But Mo wasn’t the only one to make history today. Four hits and the game-winning run by Curtis Granderson led the Yankees to victory to even the series with the Blue Jays. The Yankees were trailing 4-1 heading into the eighth, but rallied back to win on Mark Teixeira’s ninth-inning single. Jorge Posada delivered a huge pinch-hit double in the ninth to start the rally. A hit like that could start a hot streak for the struggling veteran. Remember Pat Venditte? Check out ESPN Chicago for a video of Ryan Perez, an ambidextrous pitcher for Westminster Christian (via CC). Perez can throw a fastball, changeup, cutter and curveball with both arms, and he's been clocked at 90 mph right-handed and 87 mph left-handed. "To them, it's so weird," said Perez, whose father began teaching him to use both arms as a toddler. "To me, it's natural." The question I have for both Perez and Venditte is this: Are you more valuable as an ambidextrous pitcher every game, or by saving one arm so you can pitch the next day? If the pitcher is good enough with both arms, then he becomes more valuable if he saves one arm so he can pitch more frequently. Am I right? Despite playing .500 ball in their last 10 games, the Yankees sit atop the AL East, tied with the Rays, holding a slim half-game lead over the Red Sox. Behind Boston lies Toronto, which has won seven of their last 10. The Yankees have won three of their five meetings against the Blue Jays this season. My latest poll results backed up what I always have thought: All-Star voting begins too early on MLB.com. The ballot has been open since the first month of the season, but only 36 percent of my poll voters had voted for the All-Star Game. Here is my complete analysis of the All-Star Game from earlier in the week. Bottom line: it’s time for a change. Next poll: Which Yankee is more likely to end the year hitting above .300? Congratulations to Sarah Knoblauch for winning a free Yankees hat. Sarah, please message me your email address on Facebook so you can claim your prize! Sarah gets the new Modell’s “Low Crown” fitted hat pictured to the right. Thank you everyone for entering! I’m glad I can make this site a place for you to get your Yankees news and sometimes some free merchandise! I hope to run another one of these giveaways if the opportunity presents itself. Bartolo Colon had thrown just 87 pitches through eight innings last against the Orioles. Joe Girardi opted to go to his closer, Mariano Rivera, instead of letting his veteran try and complete a shutout. It might be a tough call for some, but I stay with my vet every time at that pitch count — at least let him start the inning. Here are the responses, via my new favorite online tool, Storify. I napped through four innings, but still got to see 11. The Yankees led 1-0 in the ninth, but Mariano Rivera blew it and it took six extra innings for a team to deliver with runners in scoring position. Believe me, both teams had their chances, but the Yankees prevailed. Bartolo Colon threw eight sensational innings, but Joe Girardi removed him after just 87 pitches in favor of Mo. Good evening, followers. I have a gift for one of you. See that Yankees hat above? It could be yours with just one click. There are a few ways you can enter into the drawing. 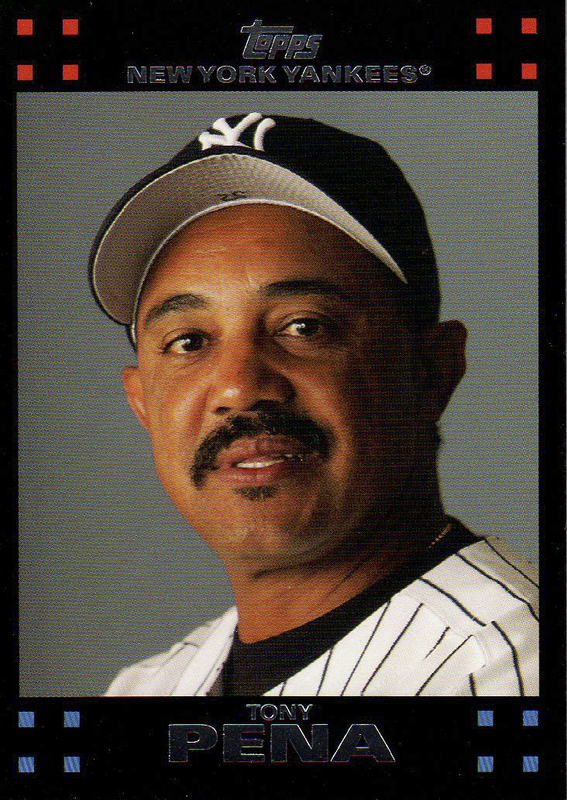 "Like" lenNY's Yankees — A Bronx Bombers Blog on Facebook and leave a comment here saying you'd like to enter. Tomorrow at 7 p.m. I will select one winner at random and announce the lucky recipient in a blog post. After visiting team doctor Chris Ahmad today, the Yankees placed Rafael Soriano on the 15-day disabled list with elbow stiffness. They recalled speedy outfielder Chris Dickerson to take Soriano’s roster spot. Let my Yankees updates come to you, rather than you coming here on a whim. I’m just trying to make it easier for you, you know? While you’re at it, follow me on Twitter or subscribe to my RSS feed. 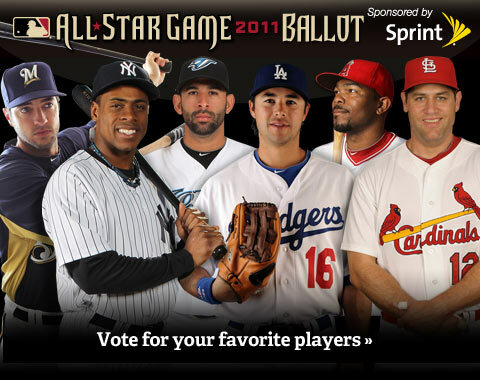 This is wrong on so many levels (except for Curtis Granderson’s inclusion). First, is the All-Star Game between everyone’s favorite players (as above picture says) or the league’s best players? Well, according to Bud Selig, the game actually matters; it determines which league gets home-field advantage in the World Series. If you are a fan of a team you think might make the World Series, you would be wise to ignore MLB.com’s advice and vote for who you think are the best players. And even if you are a fan of the Astros, you should still be voting for the best the league has to offer. A.J. Burnett saw a four-run lead disappear in the sixth inning and the Rays bullpen nailed down the win with four spotless innings. Curtis Granderson is still in the zone. With a three-run homer in the fifth, Granderson now has as many homers against lefties as he does against righties. That homer was also just the second homer Price has allowed to a lefty in his career and first since July 23, 2009. With the Subway Series set to get underway next weekend, Delta Airlines is inviting Yankees fans to come out to the second annual Delta Dugout at Madison Square Park, May 20-22, to celebrate the iconic interleague series. The three-day fan experience includes player appearances by current and former Yankees players, live game viewing, a special music performance from Yankees legend Bernie Williams and silent auctions featuring signed Yankees memorabilia benefitting Harlem RBI, in association with Mark Teixeira. It will also offer an array of games for baseball enthusiasts, including batting cages and fast pitch competitions, as well as a photo booth, special Delta games and Yankees ticket package giveaways throughout the weekend. Fans will also enjoy ballpark-style concessions and specialty food and beverages, including a special “Delta Dugout hotdog” featured at the Shake Shack throughout the weekend. My latest blog poll results yielded a dead-even split; half said Derek Jeter was back, half said he’s finished. My conclusion: he never left. Believe me, I was very close to posting something about Jeter’s demise in April. I mean, come on, he was hitting .206 nine games into the year. But that was just it. Nine games is only one-eighteenth of the season. I told myself I would wait until the end of April to post about him. But when May 1 came, I was having trouble making an argument for why he was finished. That’s why when I saw the NY Post’s cover on May 9 I was shocked. I guess you could say I’m joining the dark side tomorrow. I am working part-time for the Boston Globe's online sports department this summer. Yes, that means I will be heavily involved with the Red Sox, but I hope you aren’t disappointed in me. All this means is that I will know the Yankees’ rival better than I ever did before — even better than when I lived in New Hampshire for the first part of my life and had to defend myself from physical and verbal abuse every day. Brian Cashman in the second inning of tonight’s game said that Jorge Posada took himself out of the lineup at 6 p.m. He was slotted to hit ninth. “It’s not an injury situation, that’s all I can report right now. 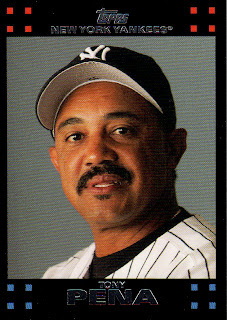 … He’d like to talk to the press after the game about it,” Cashman said. UPDATE: YES Network’s Jack Curry, also a quality reporter, provided information backing up Sherman’s report. In my latest poll, the majority of voters said the Yankees can still win the American League East without the young Phil Hughes in the rotation. So a week that saw two pitchers throw no-hitters with a combined five strike outs, ended with Francisco Cervelli hitting a grand slam over the center field wall. The Yankees overall had a rough week, but still find themselves in first place in the American League East. Last week, I predicted the Yankees would go 4-3 and they instead went 3-4. The Yankees offense stopped hitting and we can only hope that Cervelli’s homer sparks the Yankees offense much like in 2009. If you also remember, I predicted Derek Jeter would hit his first home run against Texas. So right now I am 2-2 in home run predictions! Anyway, here is my take on the week. So after being distracted for the last two hours watching this Osama thing I finally had time to put together this week’s Nate’s Takes. Last week, I predicted the Yankees would go 5-2. Instead they went 4-3 thanks to Rafael Soriano and some ridiculous catches by Brent Lillibridge. If you also remember I correctly predicted that Nick Swisher would hit his first home run of the season versus the White Sox. I was also a week late on the Kevin Millwood prediction. He can go take his 85 mph fastballs somewhere else. Overall the Yankees stand at 16-9, which is first place in the AL East. So why does it still not seem like the Yankees are not on top of their game? With Jorge Posada, Swisher, Brett Gardner and Derek Jeter struggling it seems as though the offense has not lived up to expectations (although they have hit a lot of homeruns). With Soriano and Mariano Rivera blowing more games in April than expected it seems as though the Yankees should have a few more wins. With that said, here is what I have for the week.